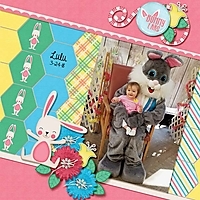 Lulu sitting on the bunny's lap, 2018. Such a cute photo! Your clusters are pretty. Love the template that you used. How cute! 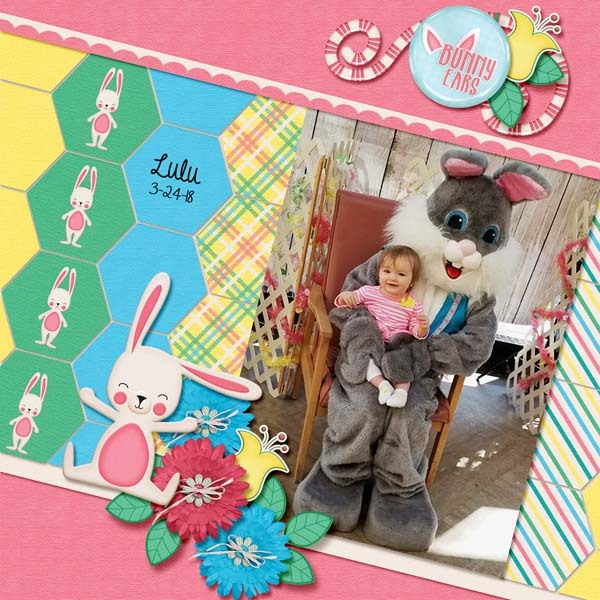 I absolutely love the diagonal theme and your clustering! Great job! Adorable photo!